Like any sumptuous and famous places, the Palais Garnier has its mysteries, myths and incredible stories. Here is your chance to visit this wonderful monument after the opening hours, when the crowd is gone. Let your expert guide carry you away with the thousand stories this fantastic place holds. Follow the footsteps of Erik, known as the Phantom of the Opera, who made the Opera his home. Your guide will relate you heaps of incredible stories both factual and fictional through the Phantom’s eyes. Open your senses to admire the fantastic details the Opera holds. Watch carefully the sculptures, discover the hidden messages left by Charles Garnier, and the disconcerting Pythonisse will greet you before you take the majestic “Grand Escalier”. Enter the auditorium and raise your head to be amazed by the colorful painting of Marc Chagall and the massive, sparkling chandelier, visit the lounges and the foyers and feel yourself as the French high society in the 19th century*. This after hours visit will reveal you its secret and leave you a unique impression of the Opera. Entrance for the guided tours is located at 1, rue Auber - Guided tour entrance. Please redeem your voucher at the guided tour desk. As a working theatre, access to the Auditorium is sometimes unavailable due to technical or artistic reasons. Access cannot be guaranteed. 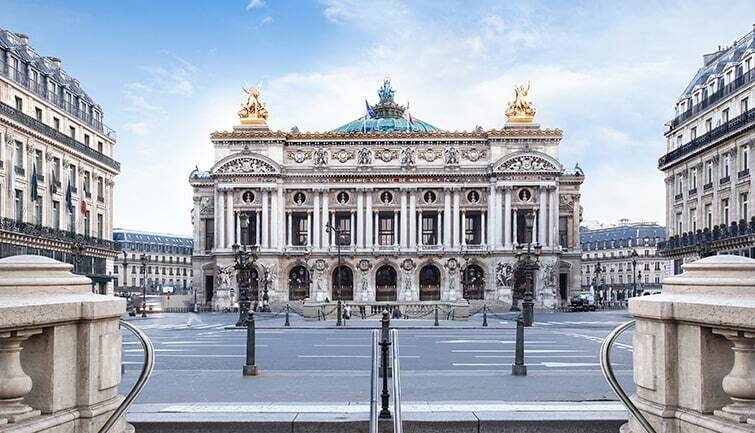 For artistic or technical reasons, the tour itinerary can be modified on the day of the tour itself, if so instructed by the Opera Garnier, without this giving rise to a refund. The Opera Garnier closes its doors for guided tours at 16:45, clients are hence requested to present themselves at the guided tours counter before 16:45, failing which they will be unable to undertake the guided tour - No refunds possible in this case.